Visiting a friend with HIV in Myanmar. Tin Ko Ko was one of our HIV patients that the FED Health team took care of in 2008. He came to Thailand in 1989, at that time he was around 20 years old. There are many older generation Burmese that are uncertain of their age. After the horrible Tsunami in 2004, in Thailand, the doctors from MSF (Médecins Sans Frontièrs) gave blood tests to several people, including Tin Ko Ko. There they found out that he was HIV positive. MSF took care of his health and provided medical assistance for a few years before they shut down their project in Phang Nga province where he lived in 2008. FED started to support healthcare services to the Burmese community in Phang Nga area, such as translations in the Thai hospitals, support in obtaining health insurances, emergency financial assistance and providing nutritions in emergency situations. In 2015 Tin Ko Ko wished to go back to Tavoy, Myanmar, and since he wasn’t able to do this himself he requested FED to support him. FED arranged his transportation and also made sure that the hospital in Tavoy was well prepared to receive him. The FED health team worked together with the Takuapa Hospital to get his medical records and enough HIVE pills (ARV) for the transfer time to the hospital in Tavoy. In 2016, two of our FED staff members arrived in Tavoy and got the chance to meet him and to film him during an interview. 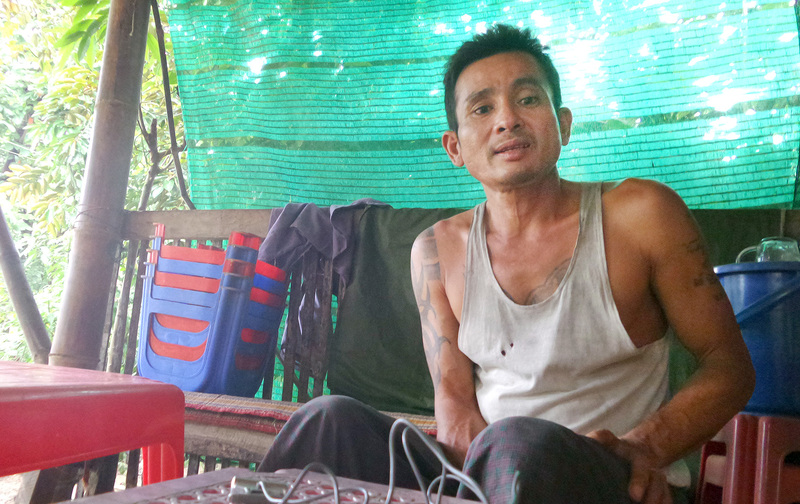 His health condition is constant and he’s receiving HIV pills from the hospital in Tavoy. The hospital is also providing regular medical checkups. Since he’s unable to work, he stays with his mother at home and gets financial support from his sisters and nephews who are working in Thailand. Tin Ko Ko said during the interview: “I would like to thank FED, World Vision, MSF and Christian Organization for their kindness and generosity”.